Villa Grande, a magnificent brick and mortar building on the Bygdøy Peninsula in Oslo, has a more turbulent history than most buildings. Built in 1917, its landlord during the Nazi occupation was wartime prime minister Vidkun Quisling himself, leaving both visible and invisible imprints on the architecture. After the war, the villa housed the allied forces headquarters, an ambassador’s residence and a nursing school. 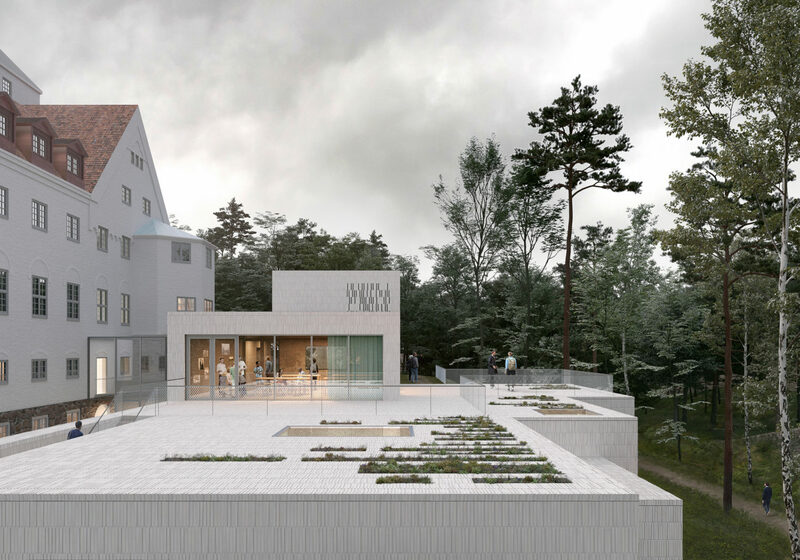 Finally, in 2006, after the long-awaited restitution settlement for Norway’s jews, it became the home for the Center for Studies of Holocaust and Religious Minorities, or the HL Center. 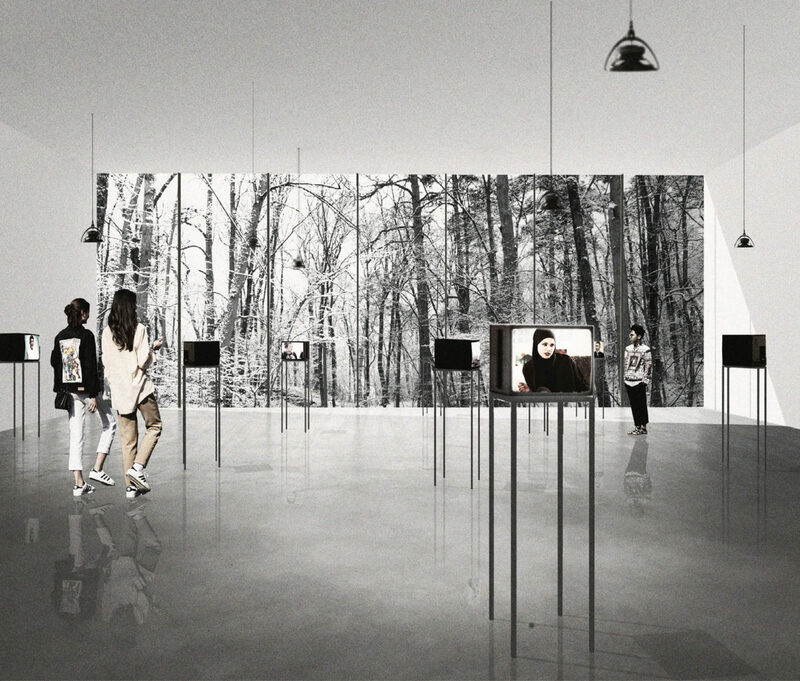 The villa’s narrow and somewhat claustrophobic exhibition rooms are fitting as framework for exhibitions about one of mankind’s worst traumas. 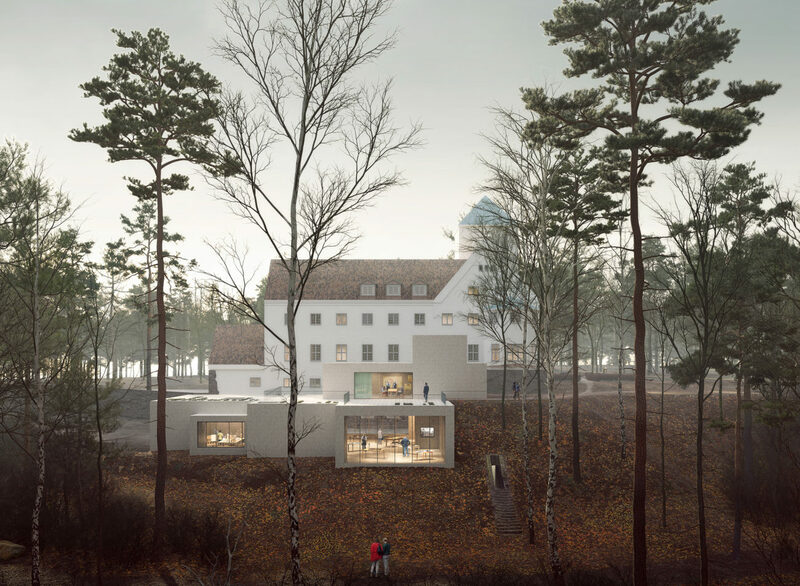 The extension, however, will house expanded exhibition activity, and will add a new dimension and a counterweight to the heavy architectural symbolism. A relatively young architecture practice, Transborder Studio outcompeted some of Norway’s largest and most known architectural firms. 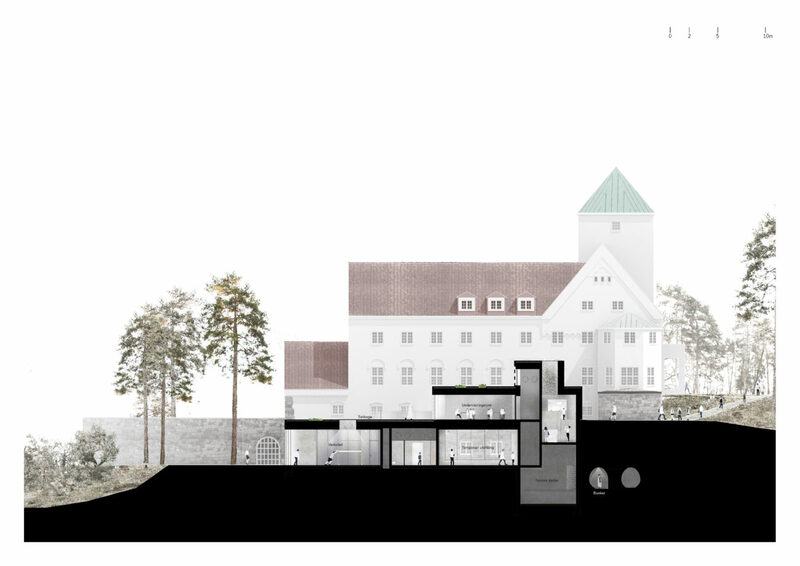 Their extension echoes the castle-like qualities of the existing building, originally designed by Norwegian architects Christian Morgenstierne and Arne Eide. It creates a different framework for new stories about minority groups’ conditions around the world. 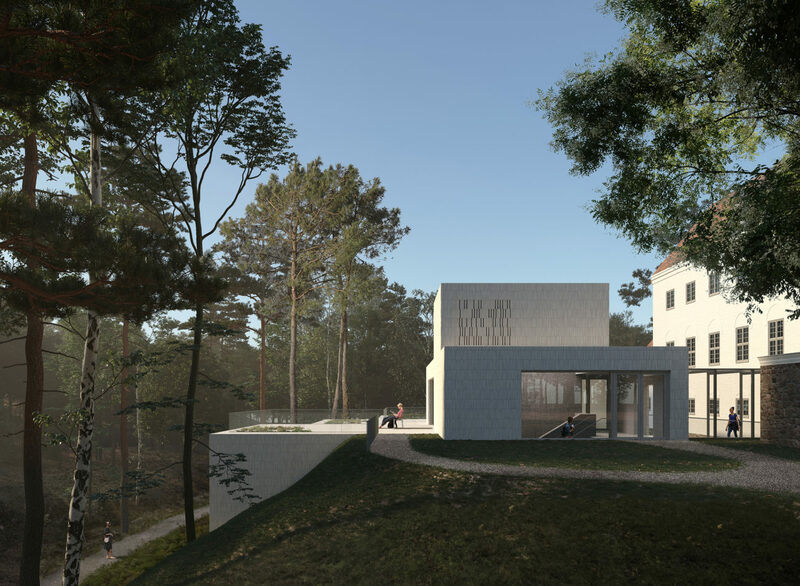 By cultivating the edge of the plateau with a low-key structure of volumes and openings, the architects aim to create new movement through history and landscape. The extension is integrated into the landscape and its roof serves as an extension of the garden. This concept enables continuous movement around Villa Grande. 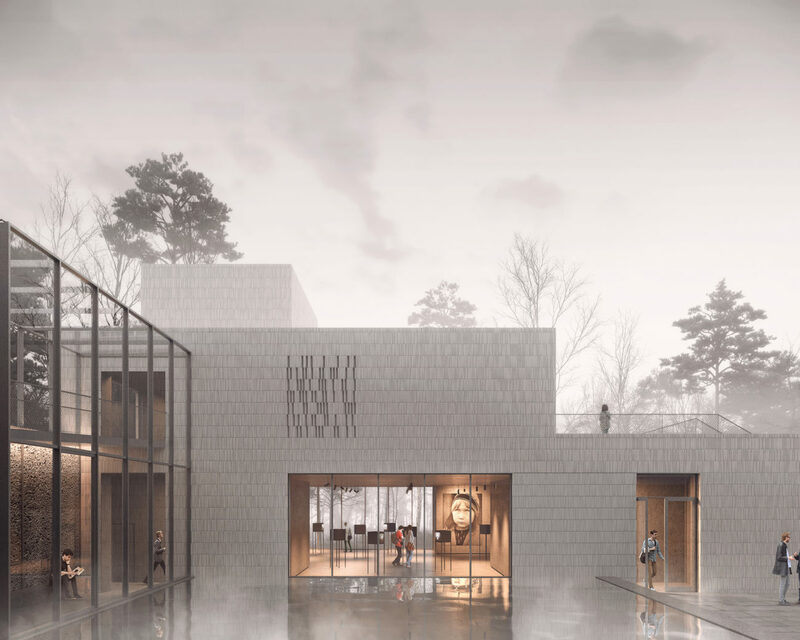 The new extension connects to the main building on two floors along a reflecting pool, a space for observation and contemplation where all the exhibits begin and end. The lower level of the building will house workshop areas and large, open exhibition spaces the architects hope will act as a counterweight to the centre’s heavy subject matter. Several spaces in the new building, including the study rooms on the first floor, will be fronted by large windows with views of the surrounding nature. Nicoline Gundersen is an editor at Untold Editorial, an editorial board run by students and young professionals. Transborder Studio is an Oslo-based architecture practice founded by Øystein Rø and Espen Røyseland in 2013.